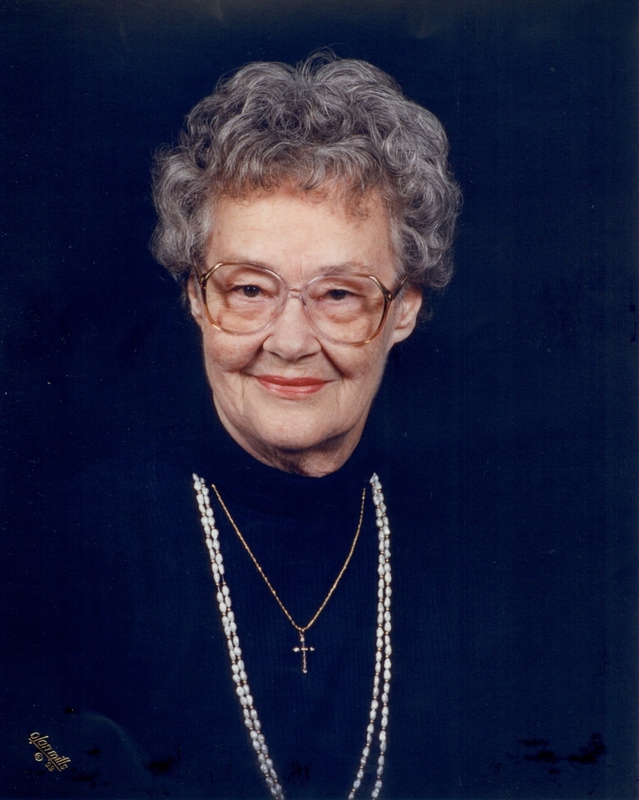 Kathleen Ellen (Beydler) Farmer, age 85, passed away on June 1, 2012, at Angleton/Danbury Hospital in Angleton, Texas. She was born on March 3, 1927, in Buffalo, Wyoming, the youngest and only daughter of five children born to Virgil and Naomi Beydler. Kathleen’s family returned to Missouri within a few years of her birth and she was raised on the family homestead farm outside of Jericho Springs, Cedar County, Missouri. She married Alvin Leo Farmer on September 7, 1946, and raised two sons, Rodney and Steve, in Independence, Missouri. Kathleen loved her family and was a devoted wife and mother. She cooked wonderful meals and her family enjoyed her famous pies. She was an animal lover and often took in strays. Kathleen loved the “country life” and cherished her family home in Cedar County. In 1968 she moved with her family to an 80 acre farm outside of Odessa, Missouri, where she lived with her husband for 36 years. Her grandchildren have many fond memories of their summer visits to their grandparent’s farm. In 2004, Kathleen and Alvin moved to Angleton, Texas, to be near their youngest son, Steve, and his family. Kathleen lost her husband, Alvin, in December 2004. She lived independently in her own home in Angleton until 2010 when she moved to Country Village Care Center. She considered Country Village her home for the past few years and received excellent care. Kathleen was preceded in death by her parents, Virgil and Naomi Beydler; her husband, Alvin; infant brother Byron; brothers, Stanley, Dwight, and Preston; and sister in law, Fern Beydler. She is survived by: her son, Rodney Bruce (Margaret) of Farmington, Maine, their daughters, Margie Silverman (Lee) and Pamela Bessey (Dan), and their grandchildren, Margie, Myles, Gus and Beatrice Silverman, Samuel and William Bessey, all of Brunswick, Maine; her son, Steven Neil (Jill)of Angleton, Texas, and grandchildren, Andrew Farmer(Kaitlin) stationed in the Army at Fort Benning, Columbus, Georgia, and granddaughter, Elizabeth Farmer of San Marcos, Texas, and great-grand son, Maxwell Farmer; sister in laws, Cleola Beydler of El Dorado Springs, Missouri, and Jean Beydler of Arizona; and many cousins, nieces and nephews. Funeral services for Kathleen Farmer will be on Wednesday, June 6, 2012, at 1:00 p.m. at Bland- Hackleman Funeral Home, with Rev. Brent Bland officiating. Burial will follow in Brasher Cemetery under the direction of Bland-Hackleman Funeral Home. The family will receive friends at the funeral home from 12:00 till 1:00 p.m.
Pallbearers are Rodney Farmer, Steve Farmer, Andrew Farmer, Greg Beydler, Randy Beydler, and Paul Beydler.